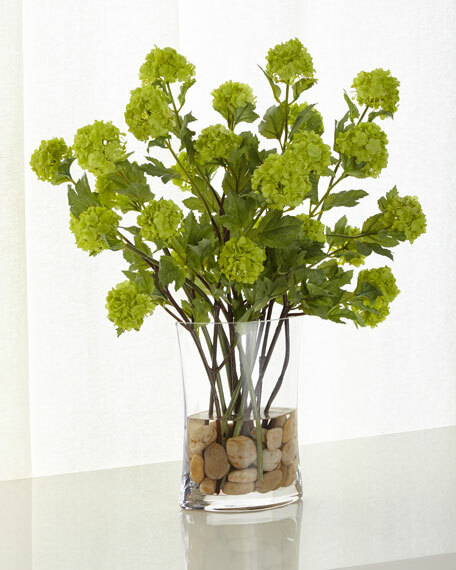 This elegant arrangement of vibrant snowball green viburnum is shown in a clear glass container surrounded with natural river rock and acrylic water. Glass container filled with natural stone. 24"W x 12"D x 23"T.